Feeling that nip in the air? You are here: Home → Feeling that nip in the air? As the weather gets cooler we will routinely start testing your car’s battery strength with every service. The test is also included in our FREE winter checks and of course can be done at your request. 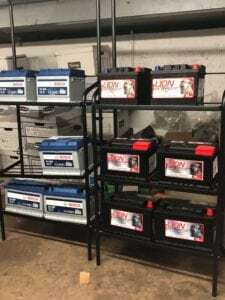 We keep a stock of batteries so if yours does need replacing we can do it very quickly. Previous Post The community events just keep on coming. Next Post Who cares who the face of L’Oreal is?